The Romans originally lived in the city of Rome in Italy. 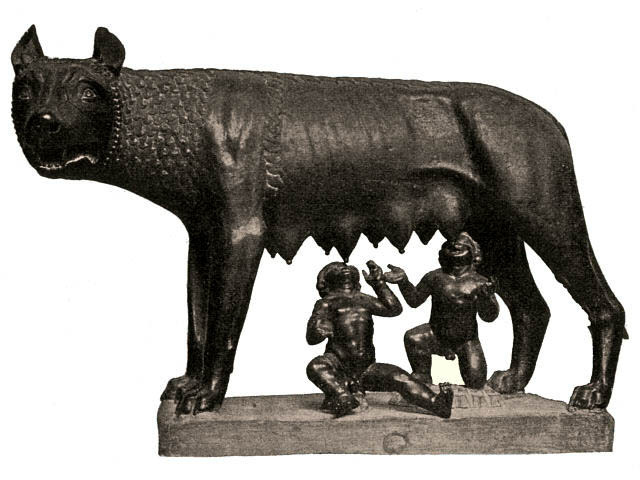 According to legend, Rome was founded on 21st April 753 BC by Romulus. He killed his twin brother named Remus, with whom he had been raised by a wolf, and became the first king of Rome. As the Romans grew stronger and more powerful, they began to conquer lots of countries and create the Roman Empire. Many modern lands were once part of the Roman Empire, including: Britain (not Scotland), Spain, Portugal, France, Italy, Greece, Turkey, Germany, Egypt and the north coast of Africa. Each of these provinces was led by a governor but ruled by an emperor who lived in Rome. 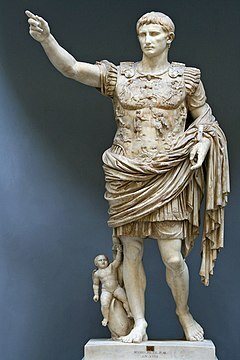 The first emperor was the Emperor Augustus who began his reign on 16th January 27 BC. The language of the Roman Empire was Latin and the main coin used was the denarius.